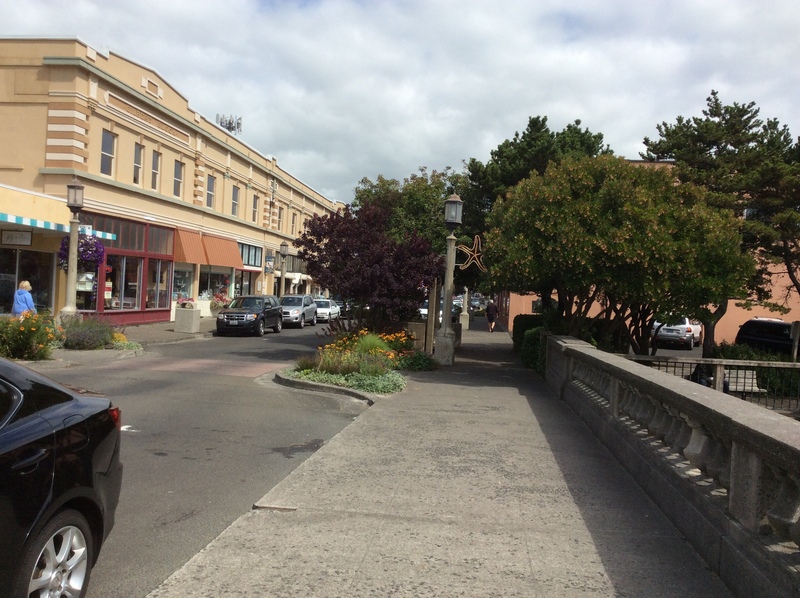 According to visittheoregoncoast.com, in the 1920s the affluent from Portland would take a steamboat to Astoria, via the Columbia River, and then transfer by stagecoach to Seaside. Was this the end of their trail? According to anthropologist Kathleen A. Dahl, history buffs argue over the exact location of the end of their famous trail. Was it on the Washington side of the Columbia River where they first glimpsed the Pacific Ocean? 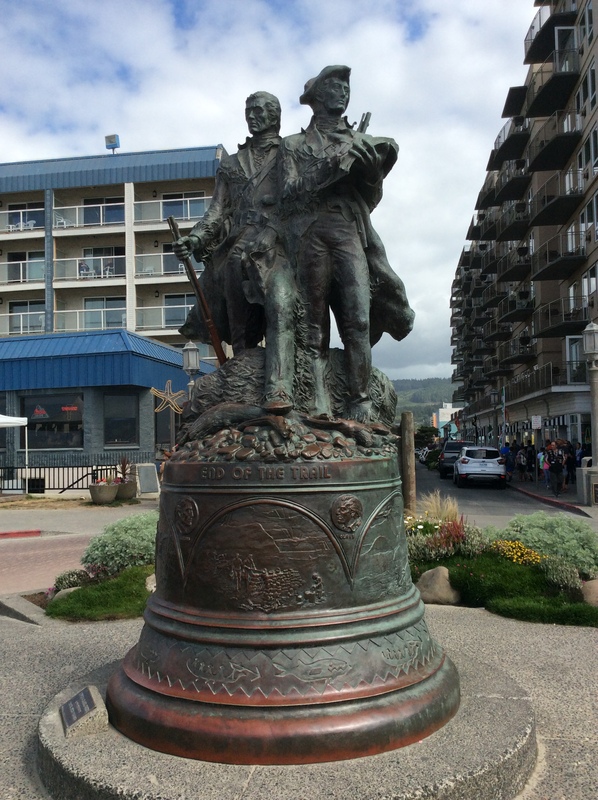 (Hmmm… the plaque at the Astoria Column gave me the impression that they were on the Oregon side… ???) Was it indeed in Astoria where they spent the winter of 1805 – 1806?Or was it in Seaside where the Corps of Discovery party boiled 1,400 gallons of seawater to render salt for the return journey? 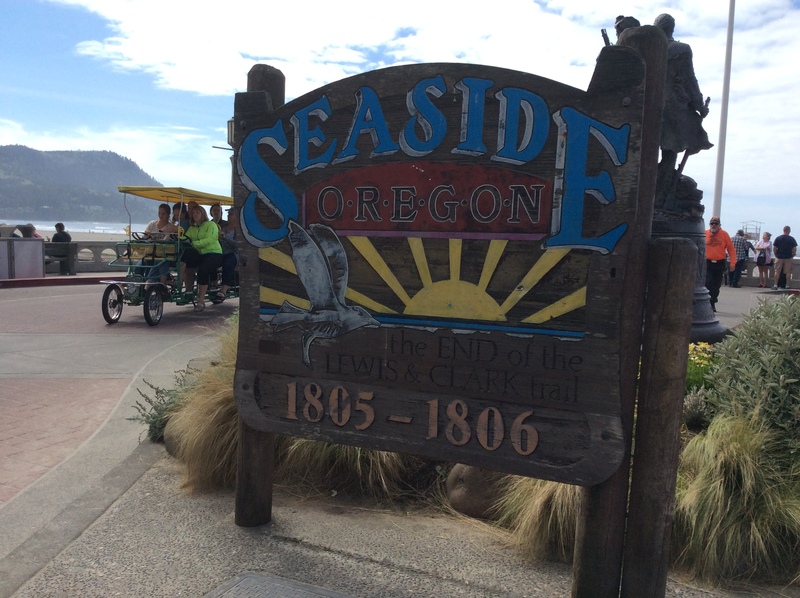 But wait, still others ask if it wasn’t Cannon Beach where they traveled to see a beached whale. Apparently Seaside has claimed the right to answer this once and for all. The statue above faces the Pacific Ocean. 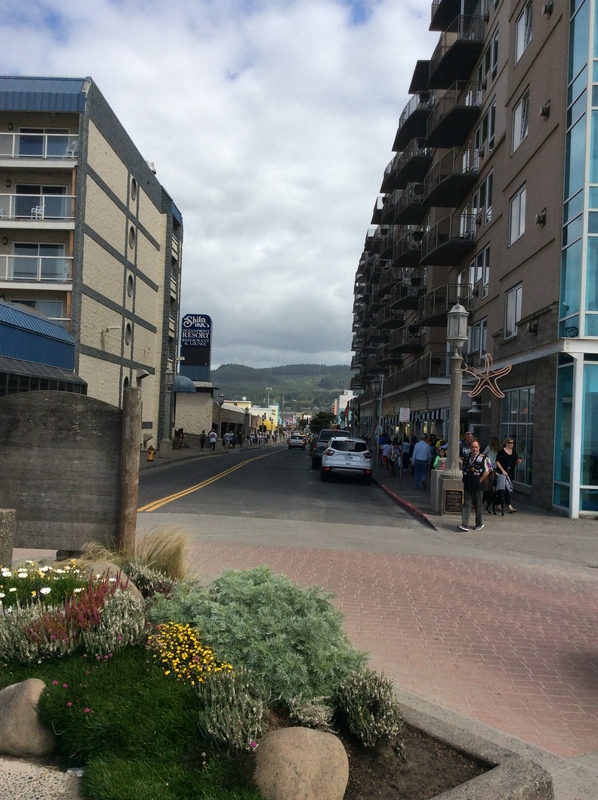 Behind is Broadway, the Main Street of downtown Seaside. ride the bumper cars, or take a spin on the carousel. 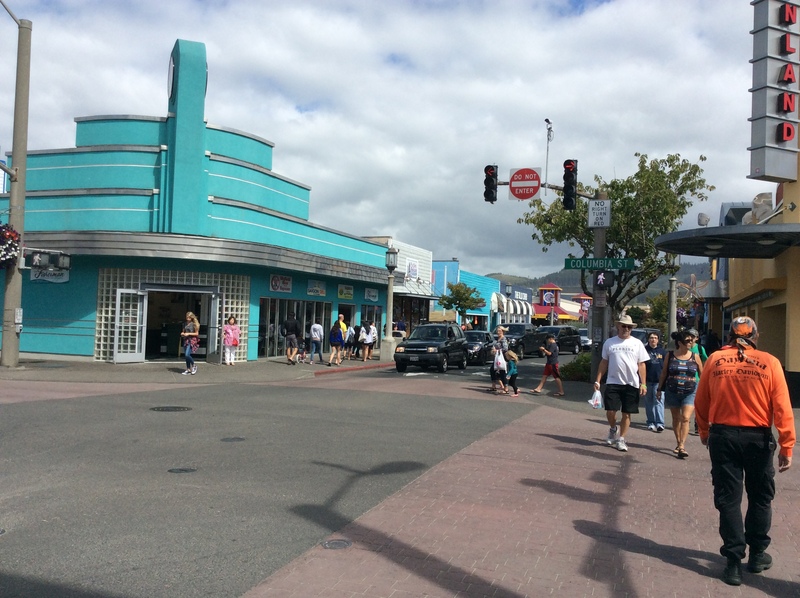 Sample sweet shops, ice cream parlors, and shop for souvenirs. And if you are hungry, there are plenty of places to satisfy your palate… from fresh seafood to the Pig ‘n Pancake! 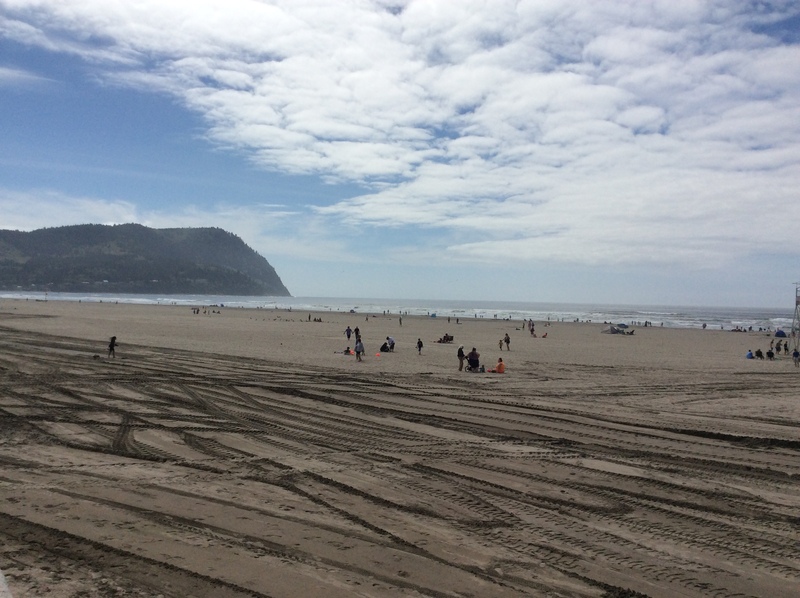 Since we are dog-less, we wind down with a couple of pints at Seaside Brewing Company, close to Highway 101. The clam chowder with a hint of thyme and a beer-laced broth is so good! We were in Newport last weekend. Sorry to have missed you! 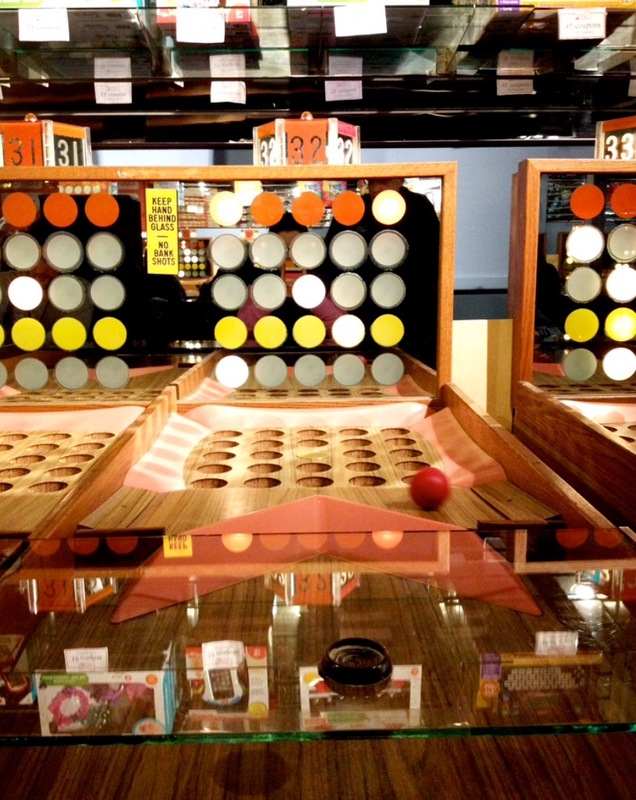 I used to love to play Skee Ball and Fascination.